Reminds me of this old clip from Skateboard Kings (1978)—which is an awesome documentary, btw—with Stacey Peralta and Russ Howell, shot in good ol’ downtown L.A.! You’ll see people harping on the old school style (calling them faggots and what not), but you know what, that was the beginning, where it all started. I guess one just had to have lived back then to fully appreciate it and understand the context. No sport is quite like skateboarding. It literally originated on the street. 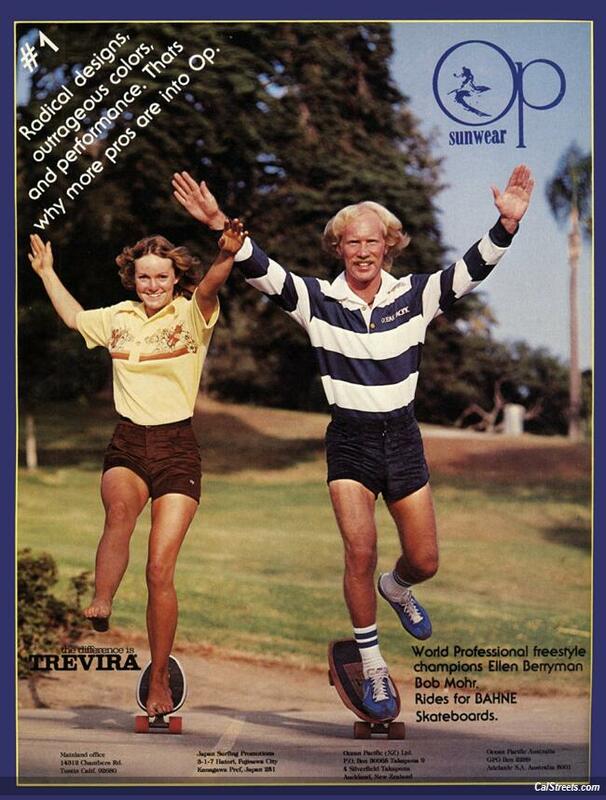 The originals were all surfers, but skating was more universal because it wiped away the need for good waves. All you needed was concrete and industrial space, and that’s all America is. I had a few OP shirts back in the 80’s. I’m a bit nostalgic for them. There’s nothing like that today. American Eagle had similar shirts for a while back in the early 2000’s. Not so much today.